Cappello Janitorial Supplies is Orange County's top supplier of professional-grade cleaning supplies and maintenance equipment. In business since 1964, we carry a huge inventory of cleaning chemicals, carpet care machines, floor care machines, paper products, protective gear, cleaning tools, trash liners, window cleaning tools, dispensers, and more. We also offer expert service and repair of commercial vacuums--no matter the make or model--and offer affordable rentals, including dry and wet vacuums, backpack vacuums, canister vacuums, carpet blowers, carpet extractors, scrubbers, and other cleaning equipment. With a huge inventory of janitorial supplies, competitive pricing, free delivery and convenient scheduling, we help Orange County businesses get the supplies they need, when they need them, and all for a great deal. 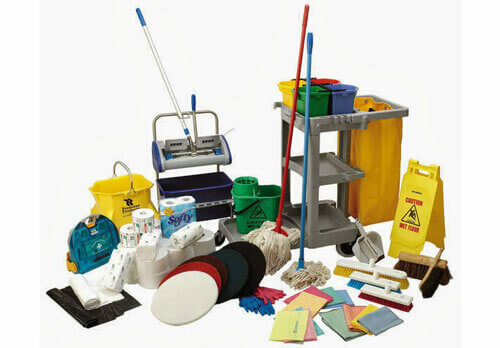 At Cappello Janitorial Supplies, we sell only the finest quality, commercial-strength cleaning supplies and equipment. We are authorized dealers for some of the most-trusted names in the industry, including Eco-Soft, Georgia Pacific, Kimberly Clark, Scott, Eco-Soft, Sanitare, Unger, Fox Green, Steam Pro 90 and others. We also sell our own, private label brand of cleaning supplies for those in need of affordable and quality cleaning alternatives. With our incredible selection, we have helped clients with all kinds of facilities management needs, ensuring they get the job done safely and effectively. We even go above and beyond to special order items not in our usual stock, such as custom-sized trash liners for special events, truck loads of speciality paper products for a large company, or high-end brushes for older floor machines. Whether you are a custodian, maid or window cleaner, or simply oversee facilities management for an office, hospital, college, school, warehouse or other business, we will take the time to thoroughly understand your business needs and provide you with excellent service. Our average employee has over 40 years of industry experience and will help you get the most out of your cleaning supplies and equipment over the long run. They'll even help you learn safer and more effective methods for removing stains, mold, grime, rust, grease and other contaminants, saving you time, money and physical strain. So call today and join our 1,000s of satisfied commercial and industrial customers. For a complete list of commercial cleaning supplies and equipment we sell, please click here. To learn more about our carpet and floor machine rental and repair services, click here.